Now that summer’s over (for the northern hemisphere at least), it might just be the time to have a bit of a holiday. After all, you won’t be in as much danger from being poked in the eye by a selfie stick, or being dragged along by a tidal wave of tour groups. On top of that, when the days get shorter and the weather becomes colder, cities change their character. That cafe with the steamed-up windows looks cosy; that beer cellar looks warm and friendly; that museum’s a nice alternative to tramping around in the rain. Here’s our selection then of the cosiest, most convivial cities. Not the most spectacular, but places that are great for poking around, exploring the streets in the cold, before warming up in a homely nook somewhere. 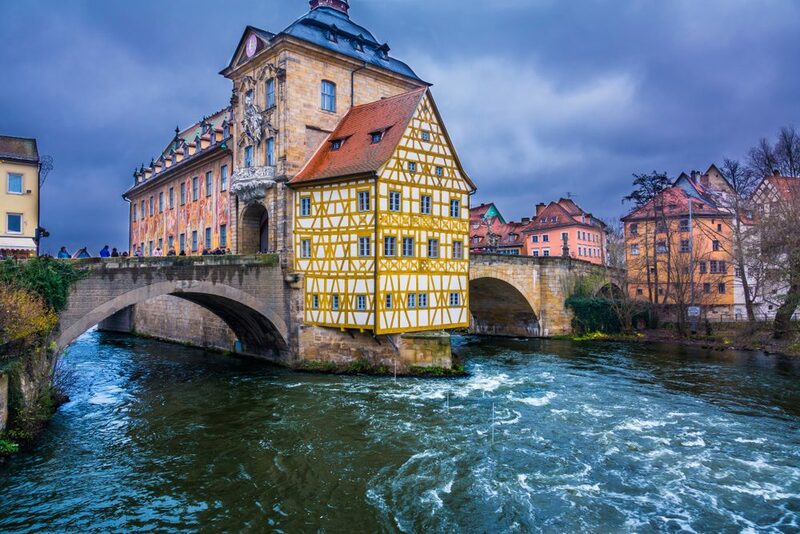 Ticking every small-Central-European-town box is Bamberg in northern Bavaria. Built on seven hills at the confluence of the Regnitz and Rhine rivers, in 1007 Holy Roman Emperor Henry II wanted it to become “the Rome of Franconia”; locals today refer to Rome as the “Bamberg of Italy”. Okay, so it’s not quite as huge and magnificent as Rome, but if it was, it wouldn’t be on this list. The whole city centre, from the winding streets to the castle, cathedral, and the scores of ancient bridges that span the rivers, is a Unesco World Heritage site, with many of the buildings dating from the time of Henry II. This makes it one of the few virtually untouched medieval city centres in the world today. The architecture spans a vast time frame, from the cathedral (1247) to the area known as Little Venice: wooden fisherman’s houses on the banks of the Regnitz, dating from the 19th century. It’s the perfect town to walk around. Streets twist this way and that, tributaries of the two rivers appear and disappear, flowing under houses and alongside alleyways, and little gateways lead to quiet courtyards or gardens. Then, when it’s time to warm up a bit, it has one more hidden secret: smoked beer. Even in a country that takes its beer seriously, Bamberg has gone one better, and brewers in the town smoke-dry their malt, giving it its signature flavour. Go to one of the many breweries in town and get a large glass of Rauchbier (Schlenkerla is probably the most well-known) and enjoy its uniquely wintery taste. Well Lucca what we have here. This town in Tuscany doesn’t want you to leave, judging by the five metre thick walls that surround the place like a hug. Everything about it oozes sophistication and taste, from its tiny, traditional trattoria, to the Renaissance architecture, to the coffee shops that’ll fuel you as you amble its narrow, cobbled streets. 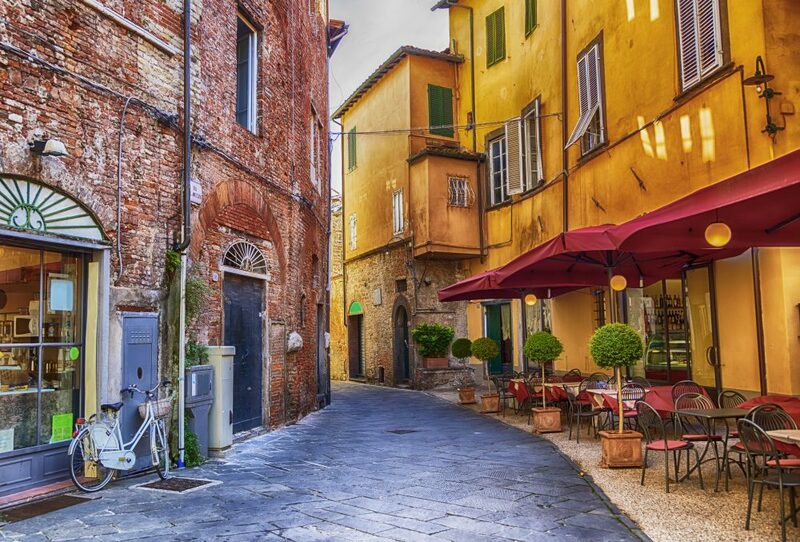 It’s the birthplace of the great opera composer Giacomo Puccini, and the walls that were once purely defensive are now used as a promenade by the people of the town. The main square (which is actually the oval-shaped Piazza dell’Anfiteatro — clue in the name?) is lit up at night during the colder months, and this adds emphasis to the glorious shapes and colours of the buildings. Interestingly, the piazza is only accessible by slipping through one of the arched gates, but then it opens out before you, as beautiful as any in Europe. Indeed, Lucca has a number of spectacular buildings dating from the 1100s to the 1600s owing to the fact that, after Venice, it was the largest city-state on the peninsula, so needed a cathedral, Duke’s residence, churches, palaces, gardens, and all the other finery that such a place should have. Naturally, when in Tuscany, do as the Tuscans do: namely, eat and drink some of the finest food the world has to offer. Those trattoria I mentioned earlier? Award-winning, many of them. Treat yourself to wonderful traditional dishes such as ribollita, a hearty, warming soup; Bistecca alla Fiorentina, a very special cut of beef; or tagliatelle al tartufo, pasta with truffle sauce. Wash it all down with a fine Tuscan wine and while away the evening in a glow of cultured warmth. If you want to combine your city break with a bit of winter sport action, why not have a look at Lucerne? From the city there’s easy public transport access to 24 winter sport resorts… but that’s not really the point of this article. So what can you expect from this lesser-known Swiss city? 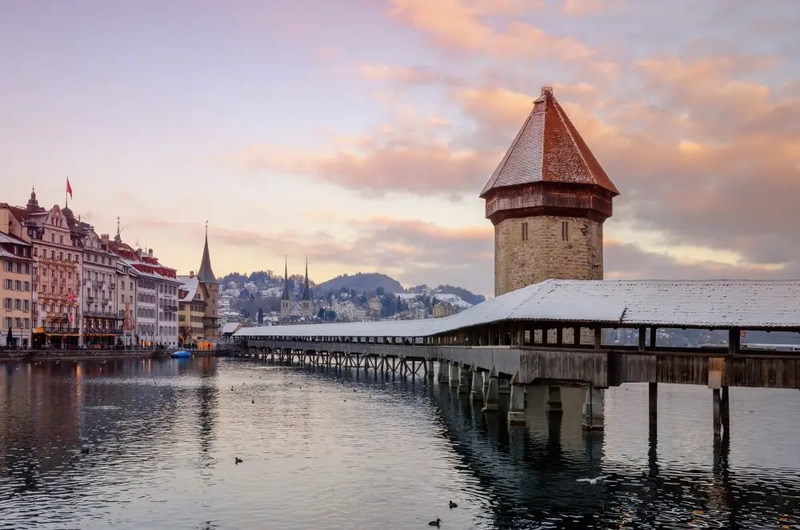 Slap bang in the centre of the country, German-speaking Lucerne (or Luzern) became an independent city in 1178 and never really looked back, becoming a city-state and surviving plagues, witch trials and revolutions to become the modern day hub of the region. The city straddles the river Reuss which drains the lake that shares the city’s name. The Old Town still consists of a number of half-timbered medieval buildings and is surrounded by remnants of the city walls, along with eight watchtowers. 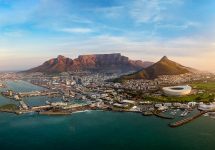 It’s a city of culture too, with both traditional and alternative art, music and theatre playing a big part in entertaining the locals. Towards the end of winter — the back end of February and running into March — the city plays host to a spectacular carnival known as Fasnacht. 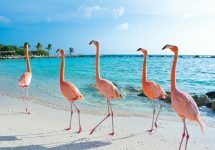 Parades, masquerades, music, dance and general celebration go on for days and nights as people celebrate the end of winter and the coming of spring. All in all, it’s a lovely place to spend a cosy holiday. Wrap up warm and take a boat trip out onto the lake and see the city from the water. Explore the shops along the splendid Rathausquai. Work up an appetite by hiking in the surrounding mountains. Come back into town and stroll through the elegant streets lit by thousands of fairy lights. And all this in a city that the majority of people wouldn’t have thought of visiting. It can be your little secret. When the students are (supposedly) busy studying and the bus-loads of day trippers have somewhere else to be, Oxford is a lovely place. The City of Dreaming Spires can sometimes feel claustrophobic and noisy but, out of season, that closeness becomes a much nicer feeling. Strolling across a quad of one of the colleges with their elegant sandstone buildings, gives you a sense of being somewhere important, somewhere solid, somewhere with thousands of lifetimes of learning seeping from their very walls (or at least the dusty attics above). I always feel that winter does the city a favour. Not that it’s unattractive, far from it; simply that the swish of a bicycle passing you in the rain, the hurrying students carrying armloads of books, and the towers and spires in the mist, give the whole place a thoroughly Dickensian feel. You can almost hear the strains of The Carol of the Bells as you dash to find shelter. And what shelter! 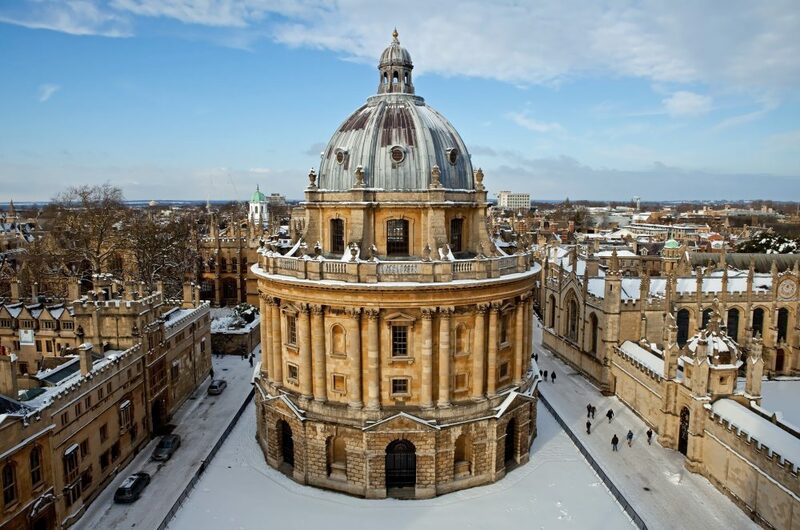 The number of famous Oxford graduates is in the thousands, and all of them needed somewhere to relax. Why not follow in their footsteps? The Eagle and Child is where JRR Tolkien and CS Lewis would hold their literary discussion groups (“Stop going on about your bloody elves, John!”), the Lamb and Flag was Thomas Hardy’s local, and the Turf Tavern is where Australian prime minister Bob Hawke broke a Guinness World Record by downing a yard of ale in 11 seconds. Don’t say you never learnt anything from me. New Mexico and winter are not things that go hand in hand when you think of places to go, but you’d be surprised. 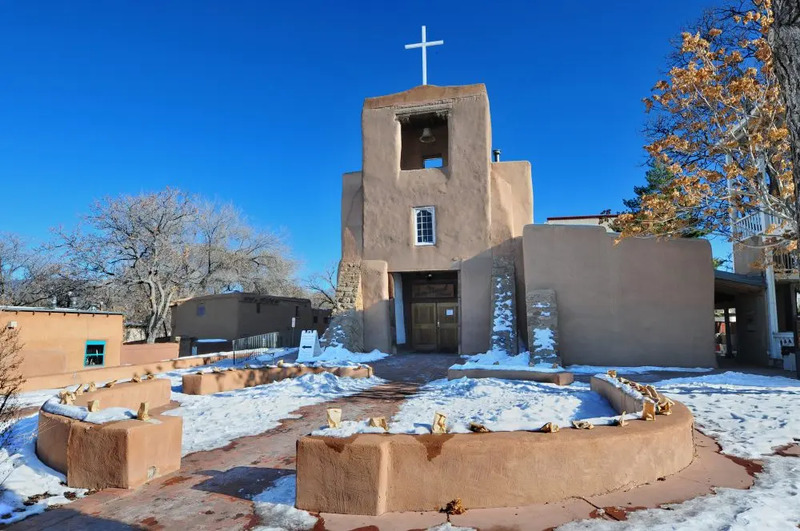 Santa Fe is a welcoming place anyway with its artisanal chocolate shops and coffee houses, but when the surreal sight of snow on the adobe sets in, you’ll be pleased you made such a fun and interesting choice. It makes the most of being a place that’s known for being artsy and a bit odd; at the start of the 20th century it became a draw for an entire community of artists and writers who were drawn to the beauty of the surrounding landscape and the cultural richness that had been an intrinsic part of the town’s growth. Indeed, as a leaflet from 1928 has it: “Santa Fe is now one of the most interesting art centres in the world and you, O Dude of the East, are privileged to behold the most sophisticated group in the country gamboling freely… And Santa Fe, making you welcome, will enjoy itself hugely watching the Dude as he gazes. Be sure as you stroll along looking for the quaint and picturesque that you are supplying your share of those very qualities to Santa Fe, the City Incongruous.” So what’s not to like about that? It’s a relatively young city in terms of age demographics, helped by the presence of liberal arts and community colleges, and it’s particularly popular for visitors in the autumn when the aspen trees in the surrounding mountains are turning beautiful shades of red and yellow, but the skies remain clear and blue. If you’ve never explored this most avuncular and laid-back of cities, now’s the time. Imagine a stereotypical European town. What do you see? Church spires? Red rooftops? Narrow cobbled streets? People reading newspapers on wooden frames outside cafes? Maybe the town is ringed by tree-covered hills? Well, that’s Brașov. It’s a small-ish university town situated in the centre of Romania, which means it can serve as a good base for exploring the country. 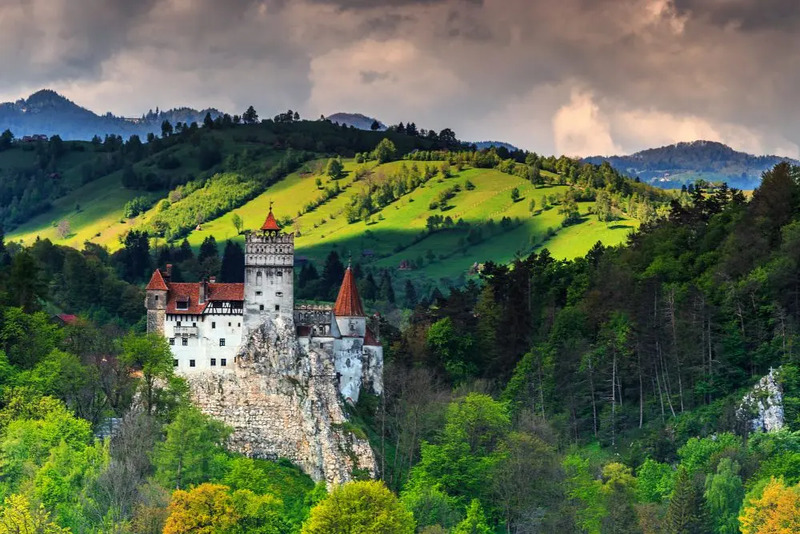 It’s close to the legendary Bran Castle, supposedly home of Dracula, so if you fancy a bit of vampire-spotting, this is the place. Back in Brașov itself, you can feel the history all around through the towers and walls of the old citadel, the hidden squares and the charming traditional restaurants and bars. The fresh mountain air might be chilly at this time of year, but it’s all the better for it. When you tumble into that small, friendly eatery after having pounded the streets, you’ll feel like you’ve earned it. From hearty traditional cuisine, to fine Italian or trendy burgers, you’ll find something to fill you up. For a bit more exercise, spend a day in the hills and the forests after taking the cable-car up for a view of the city (and, strangely, a Hollywood-style Brașov sign) before rewarding yourself for your healthful endeavours with a Kurtos Kalacs, a sweet, roasted cylinder cake similar to a Czech trdelník. Oh and the narrow cobbled street thing I mentioned earlier? Strada Sforii is the narrowest street in Romania, and one of the tightest anywhere in Europe! An unusual place to finish. 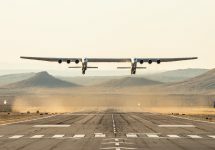 California? 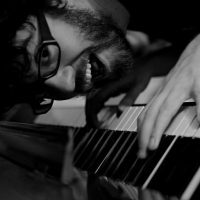 Cosy winter break? Sure, and one with a strange twist. 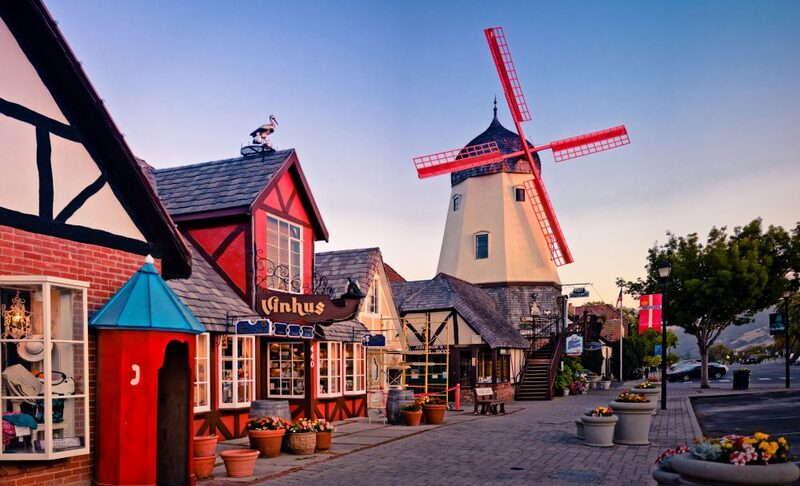 Home to just under five and a half thousand people, Solvang was founded in 1911 by a group of Danish settlers wanting to form a Danish colony. Colony is slightly too big of a word to describe the place, but it’s now home to a number of bakeries, restaurants and shops that bring a taste of Scandinavia to Santa Barbara County. As the nights draw in, this cosy little community becomes even warmer. Many of the buildings in the centre of town were built in the style peculiar to Northern Europe that local architect Earl Petersen termed “Danish Provincial”: wooden beams, high, pointed roofs, a turreted clock tower on the square, and there’s even a windmill! Okay, so the whole thing is slightly eccentric, but that’s what makes it so charming. The town does make some concessions to the fact it’s in California with events such as locally-guided wine walking tours all year round, but for something fun, friendly and a bit different it takes some beating.